Hello again crafters! 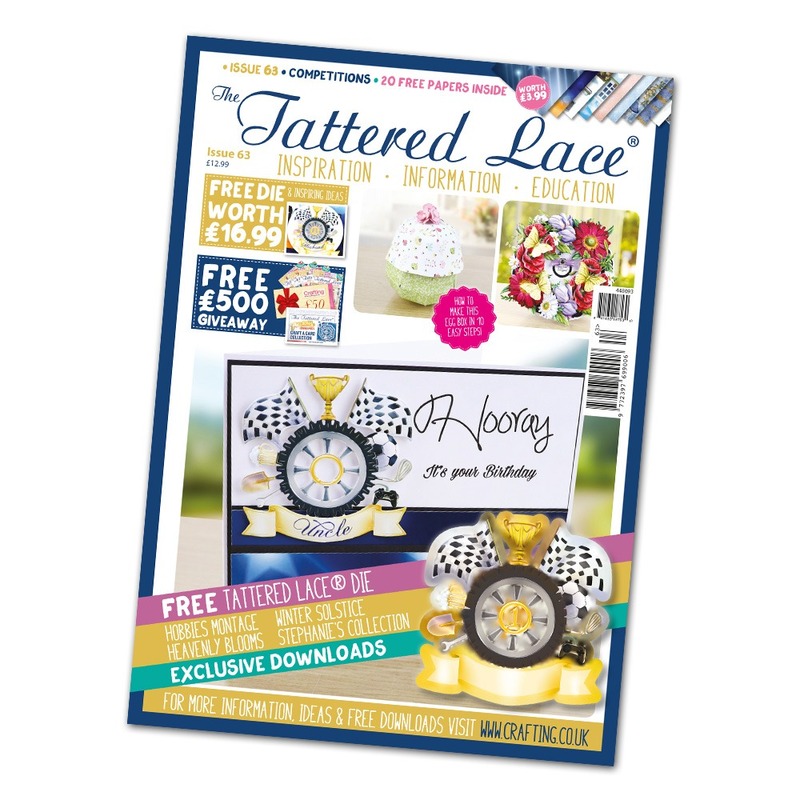 Welcome to issue 63 of the Tattered Lace Magazine, let’s see what we’ve got for you! Your FREE gift this issue is the fabulous Hobbies die, this is a great one for the boys! 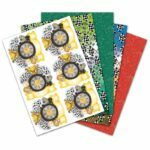 This is perfect for birthday cards, Father’s Day cards, scrapbooking, and all sorts of makes! Our projects made with the Heroes & Heroines dies celebrate the everyday champions who are there when we need them most. Our Winter Solstice projects have a touch of romance and they totally capture the magic of a snowy white winter! We’ve also got some colourful blooms using our Mega 3D dies, look out for them and the beautifully layered decoupage that they can create! All of this and you’ve still got your FREE backing papers, template project, calendar, and more cards to boot! Get stuck in!